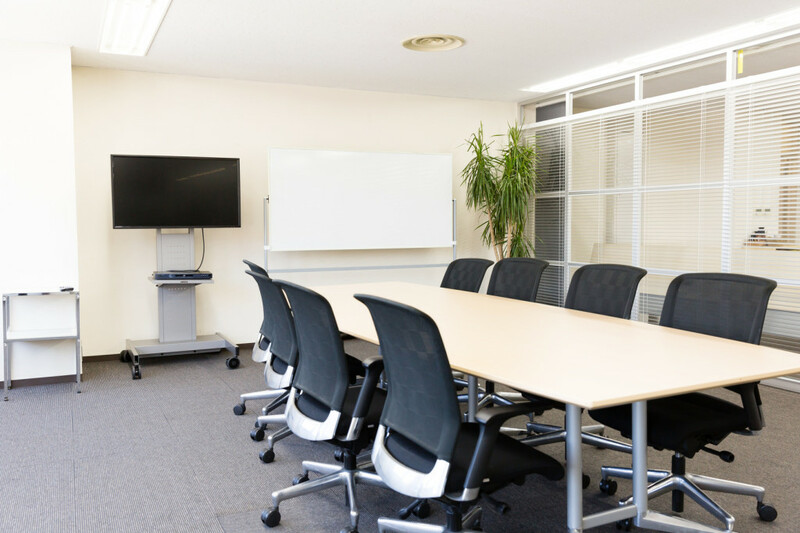 Is your conference room in dire need of an update? When it comes to doing business, the layout, and design of your conference room matters. It’s where you make big decisions and business relationships, so it needs to be top-notch. Do you know that you need to remodel your space, but not sure what to do or how to start? We’re here to share some conference room layout and design ideas to help you design your dream workspace. 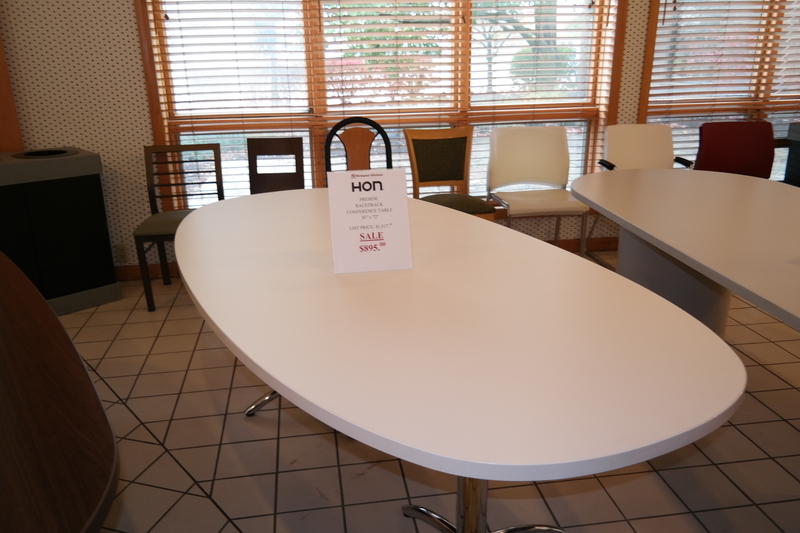 Redoing a conference space isn’t easy, but it’s important! Here are some tips for creating a conference room that truly rocks. Lighting can make all the difference when it comes to workplace productivity and the quality of life of employees. Studies even show that there is a strong relationship between daylight exposure and how employees sleep and perform. When redoing your conference space, focus on adding more natural lighting. Add lamps and lighting systems that come with dimmers, so you can adjust the lighting if need be. And don’t forget to add curtains and blinds to help on days that are ultra-bright or gloomy. Extra tip: If you don’t have natural lighting, try to cut back on fluorescent lighting by incorporating floor and desk lamps. 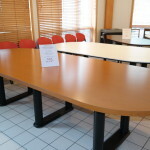 Conference rooms need to have the latest technology to be effective workspaces. That’s why you should install any technology that will help run presentations and meetings. You should also have good audio equipment and microphones. When buying technology, try to buy large screens or multiple screens, so you can run video chats and show work presentations. These screens are also great for wowing clients. Tip: If your conference room is short on space, design a built-in unit to house any multimedia or technology to keep the room clutter free. This will also make the room feel bigger. When it comes to your conference space, you should focus on creating a space that fosters equality and collaboration. 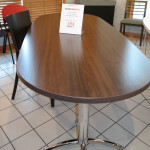 A roundtable is a great way to encourage collaboration and make everyone feel included. Just make sure to avoid any kind of tiered seating that blocks people’s views or makes some people not feel included. Your conference room should have many seats and plenty of room so people can move around and have smaller conversations. You should also buy ergonomic furniture so everyone will be comfortable. 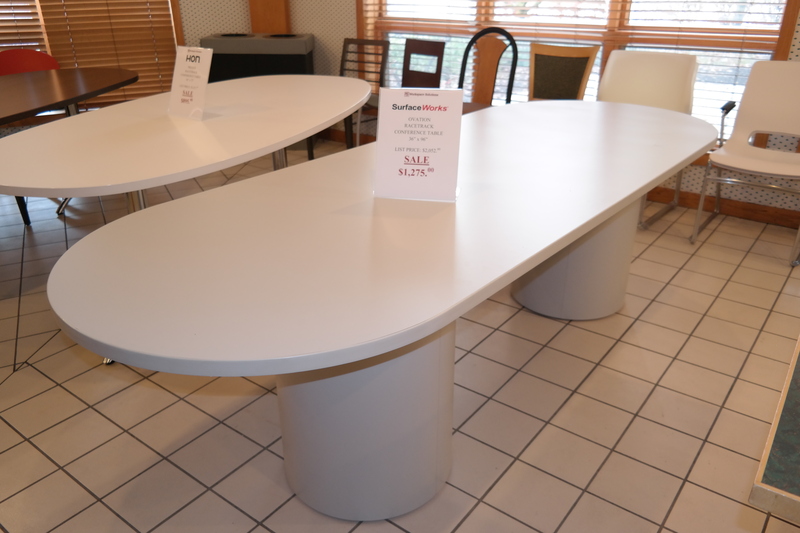 Tip: If you’re not working with a big budget, consider buying used office furniture. As long as people need to meet and business needs to be done, conference spaces are an essential part of any office. If you follow these design tips and layout ideas, you can create a conference space that offers collaboration, positive work culture, open communication, and comfort. Are you currently redoing your office spaces? Contact workspace solutions today and let us help! Who cares about how the conference room looks, right? After all, clients and employees only care about how business is conducted. Nobody really pays attention to the conference room design. The layout and design of the conference room matters. This is where important decisions are made. And this is where companies and clients forge and build long-term relationships. Think the design of your meeting area is still insignificant? 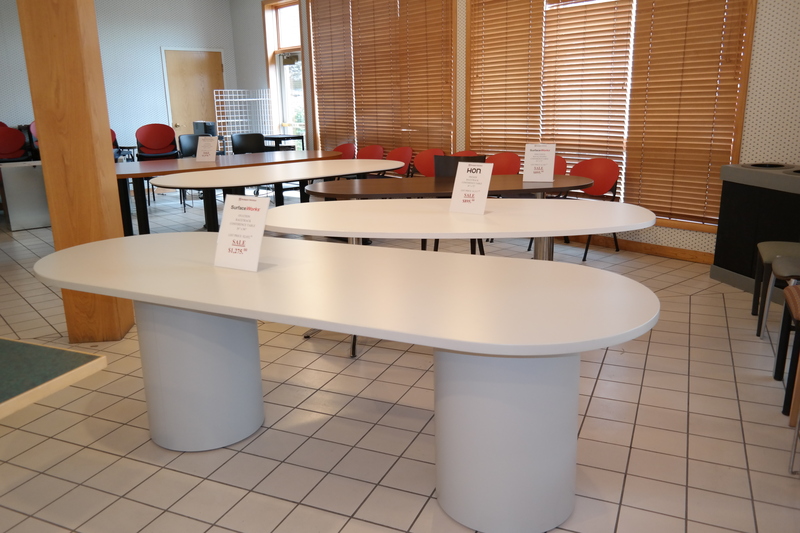 Looking to optimize your meeting space for better company performance? Read on for some ways the design and layout of your conference rooms impact client relationships! Getting the space right in a conference room can be challenging. Not every conference room is the same size. And not every client has the same taste in room preference. So, what’s the most effective conference room design to create with every client in mind? The rule of thumb for space is this: Too little and too much space are equally uncomfortable. You want to make sure that everyone in the meeting isn’t bumping into one another. But too much space can feel cold, intimidating, and impersonal. People communicate better when there’s space between them. You can encourage more communication by creating space that’s not too spacious. Keep the table away from the walls and center it appropriately. People should be able to pull their chairs in and out with ease. Finding a balance between the walls and furniture is also key. That means making sure space works for big and small meetings alike. You’ll also want to make sure there are also enough chairs to go around! People can feel drained when they’re surrounded by fluorescent lights all day. And some people even get headaches from the harshness of them. Most offices have fluorescent lighting. So, this the challenge when it comes to planning the lighting in your conference room design. This is where natural light comes in. Natural light is softer than artificial light. Yet, it turns out that brightness affects mood both negatively and positively. So, ultra-bright days can have as gloomy of an effect as rainy days. That’s where it helps to have curtains or blinds. That way, you can tone down the brightness of a room when need be. Unfortunately, this doesn’t help conference rooms that have few or no windows. But luckily, you can incorporate floor and desk lamps. Aim for lamps and lighting systems that are easily adjusted with dimmers. That way, you can adjust the lighting and make it mimic natural light as much as possible. Conference rooms with poor acoustics can subconsciously affect clients and their decisions. So, it’s important to pay attention to how sounds reverberate and echo throughout the room. Consider how the chairs sound when they’re pulled in and out. Listen to how things sound when they’re dropped, or how laptops sound when used in the room. This is also a good time to test the sound equipment of the computers or projectors. Are they distracting and noisy? Every now and then, check the chairs and tables. If they wobble or squeak, fix or replace them. Don’t underestimate sound when planning your conference room design! Projectors, computers, TV screens, and whiteboards are staples of the conference room. Your meetings can’t survive without them. But when can they be a problem? For one thing, it’s embarrassing when a display screen or whiteboard is too small. Broken equipment or computer chords that spill over each other look just as bad. It’s important to plan around the purpose of the room. You should have the necessary equipment and make enough room for it. With that said, you should also be wary of excess decor. It’s good to add personal touches like paintings, photographs, or plants. But too much decor, or decor that speaks loudly, can be distracting. 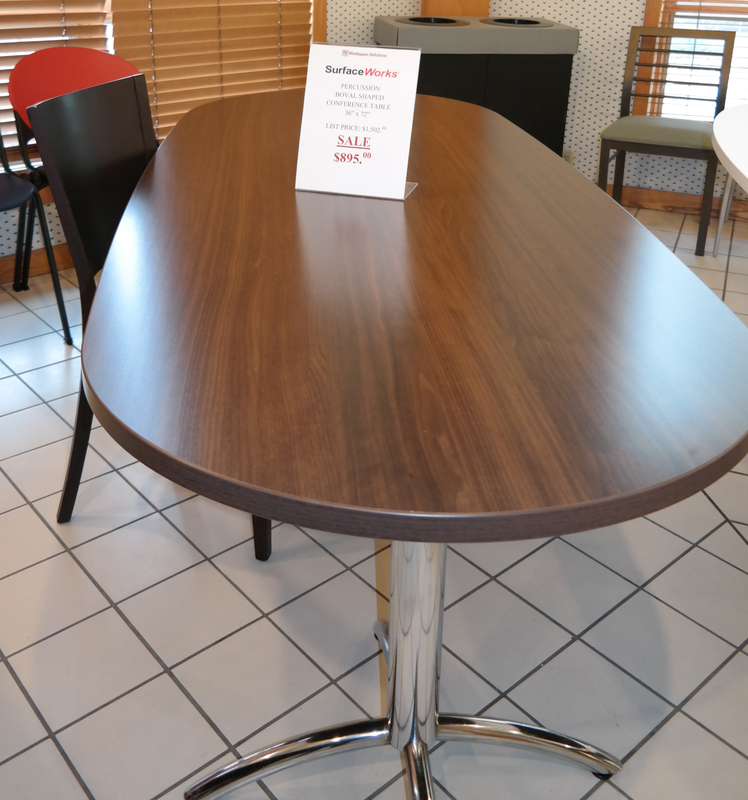 It’s also important to choose the right furniture that’s both professional and comfortable. The more comfortable the clients are, the happier they’ll be. Ready to generate more clients and build better partnerships? 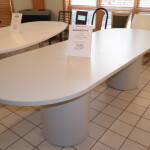 Prepared to create a meeting space that clients and employees alike will love? We’re all about creating the best business environments here at Work Space Solutions. 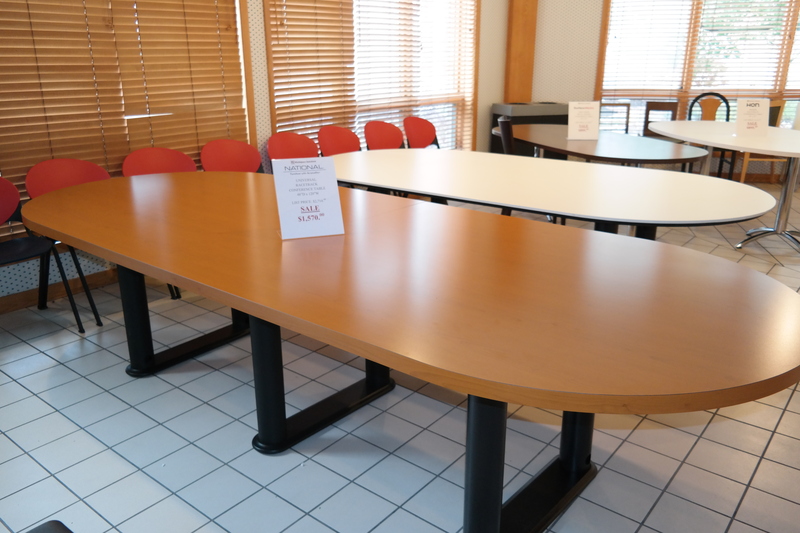 Contact us today for your conference room furniture needs!